A WHISTLEBLOWER has warned of an unprecedented exodus of Camden teachers this summer. The secondary school teacher said workload pressures, coupled with the high cost of living in north London, is forcing staff to leave in their droves. The New Journal has learned that in some schools one in four staff teachers has quit this year with established ­figureheads being replacing by low-paid “newly qualified” teachers. “This is a large number and it needs to be looked at,” said the senior teacher, who did not want to be named. The lack of continuity is not good for the children. It is depressing to work in this environment. 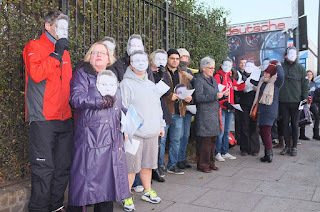 if there are a lot of them, behaviour goes down, too.”The claims come as the outgoing headteacher of Regent High School, in Somers Town, sent letters to parents announcing senior teachers were being made redundant in a move that almost triggered an NUT strike. The teacher, who has worked in Camden for more than a decade, told the New Journal around 25 teachers had left each of Haverstock, Parliament Hill, Hampstead and Regent High schools this year. 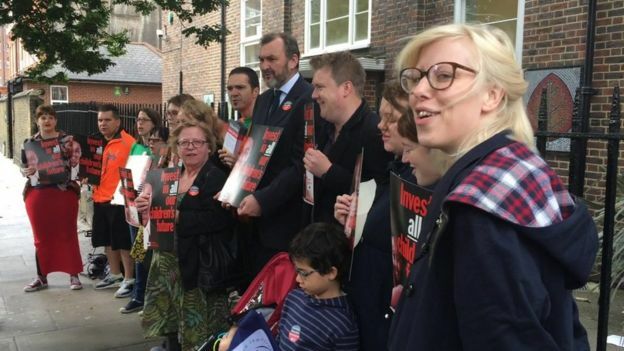 The council confirmed that at Hampstead School 25 teachers – of its 95 staff teachers – had left – but said it did not hold full figures for the other three. The teacher said: “It is particularly a problem this year, because of the massive education cuts. The first cut has been to support staff, rather than teachers, but that impacts on their workload. It’s too much and I am thinking I am going to leave too.“You have to look at the government, of course, and that teachers cannot even afford to rent a place around here, let alone get a mortgage, but also the management of the schools – are these cuts happening too quickly?” The teacher said colleagues in Camden are commuting in from Luton, Brighton and Essex each day because of the cost of renting in north London. Andrew Baisley, secretary of Camden NUT, said: “I think there is a number of things coming together. Workload remains far too high and that’s a great pressure in inner-city schools because of the pressure to get exam results. We’ve seen that this year, at the end of primary schools, the spelling and grammar exams – only 53 per cent of children met the standard, nationally. That is increasing the pressure. A parent, with two children at different Camden secondary schools, said: “A number of teachers are leaving because they can’t afford to live here and they are broken by the government reforms. A lot of them are the young ones. To the inner-city schools some are commuting in from hours away. Schools chief Cllr Angela Mason said: “It’s clear government cuts to school budgets are beginning to bite and the housing crisis in London is making it increasingly hard for schools to retain staff, due to the high cost of living. SENIOR teachers at Regent High School have been made redundant because of “increasing financial pressures”, according to a letter sent out to parents from the outgoing headteacher. Five “directors of tutorial” will not return to their jobs in September following a staffing restructure at the Chalton Street secondary school. The staff members teach a number of subjects, from geography to maths, science and PE, but will be replaced by existing non-teaching staff taking up new “tutorial community leader” roles. In June, 84 per cent of NUT members at Regent High voted in support of strike action over the job cuts but the dispute was later resolved without industrial action. In a letter sent to parents at the end of summer term, headteacher Rosemary Leeke, who is retiring this summer, said the school had been forced to make some “extremely difficult decisions”. Submitted by Anonymous on Fri, 2016-08-12 17:11. Haverstock School has many Teachers who have been teaching there for many, many years, some who even attended the School. The Headteacher has turned the School around. They deserve respect and not forced out by cuts, give them the rise in salary that they deserve and keep the top Teachers in Camden. Submitted by Anonymous on Thu, 2016-08-25 20:24. Submitted by Anonymous on Thu, 2016-08-04 19:24. I congratulate the whistleblower for exposing the neoliberal agenda that is threatening to destroy education in the UK. Good and experienced teachers are the foundation of our children's futures. We should respect and support them. Education before profit!